Fresh Seaberry Revitalizing Conditioner, 8.12 oz. 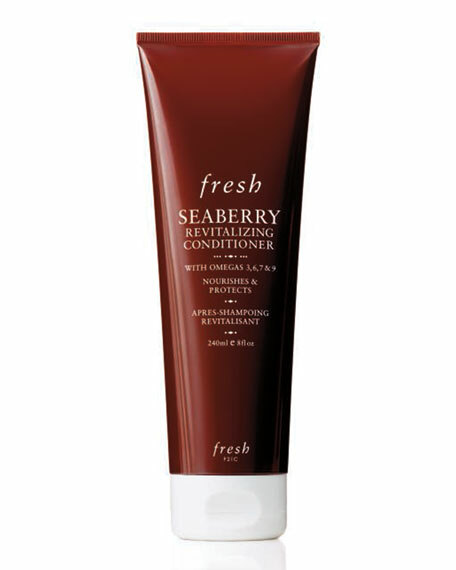 FreshSeaberry Revitalizing Conditioner, 8.12 oz. Fresh Seaberry Revitalizing Conditioner with nourishing omegas 3, 6, 7 & 9 is a daily rinse for all hair types that softens, smoothes, and revitalizes the hair from root to tip while improving manageability and adding amazing body. The sulfate-free formula further works to protect the hair from environmental stressors, promoting frizz-free strands. Seaberry has been revered since antiquity for its ability to promote shiny, healthy-looking hair. 240 mL/ 8.0 fl. oz.